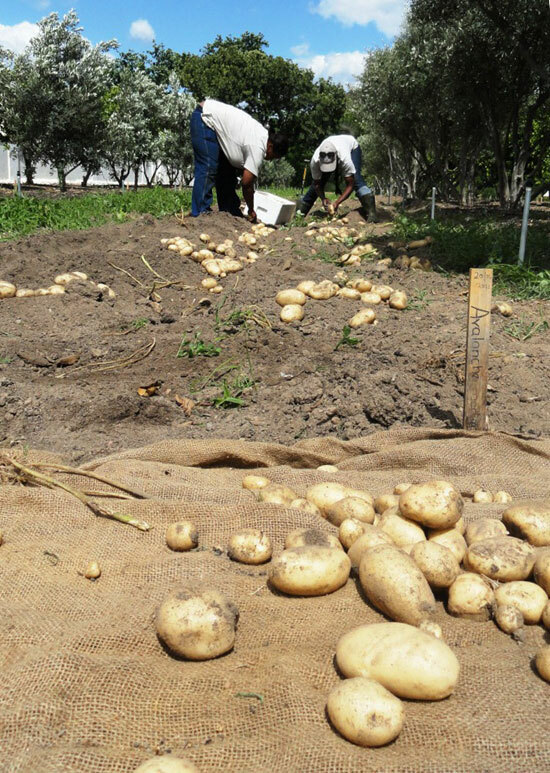 The potato plants started dying, which is an indication that they are about ready to harvest. Yet it is strange to plan a harvest when you don’t see any produce. Curiosity got the better of us and we decided to check. 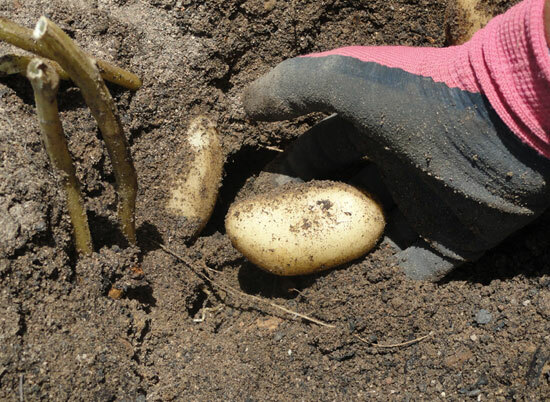 Now, putting a hand into the soil is nothing new to me as a soil scientist, but pulling it out again with a hand full of potatoes almost gave me goosebumps! 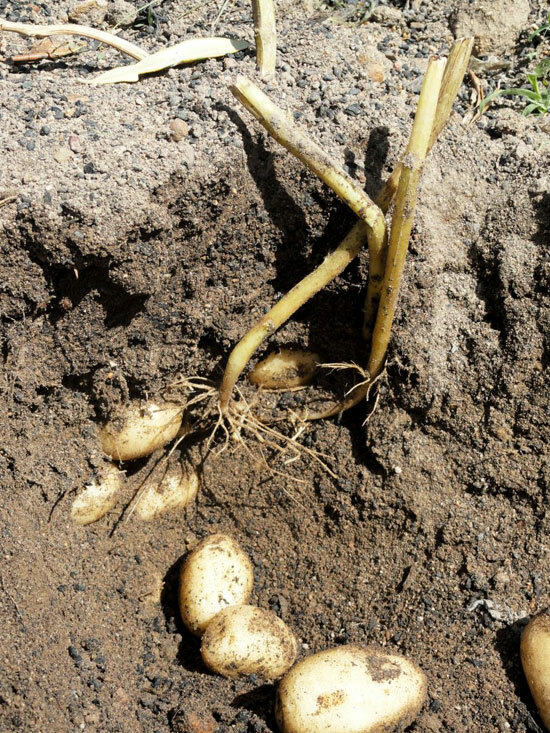 The potatoes are snugly packed together and easily give up any remaining attachment to the roots, loosely falling into your palm. It must be the the closest I have come to finding hidden treasure! After leaving them for another two weeks in hope of bigger tubers, we stomped the above ground part of the plants this week in preparation of the big day. As if to celebrate with us, this morning the sun came out after the rain, and the harvest started in all earnest! Constance and Wendoline will probably sleep very well tonight, after carrying those heavy loads of potatoes all day!